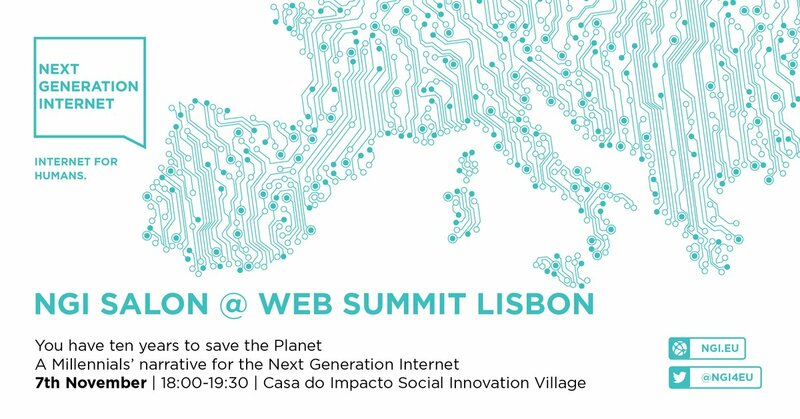 As part of NGI Move and DataWatchers Marta Arniani and I hosted a Millennials workshop at the Web Summit 2018 in Lisbon. Motivations, hopes, achievements: digging into solutions for major societal challenges, this salon aimed at rebuilding a Millennials narrative that focuses not on how the internet has gone wrong, but how we believe it could be improved and contribute to a better society, thriving in a rich natural ecosystem. It engaged with Millennials from the Web Summit Social Innovation Village and local social innovation networks who bear with them that positive and emancipatory outlook on technology that Millennials should be remembered for. Interesting outcome was moving from past excitement and wonder of the internet towards a present of particularly noticing the internet when it is either not working, or negatively addressed.